Born and raised locally, Laurence Winram is a professional photographer based in Edinburgh. Shadow is series of portraits which was initiated a few months ago as a collaboration between Laurence and the models within his work, with a number of the image ideas coming from the models themselves. 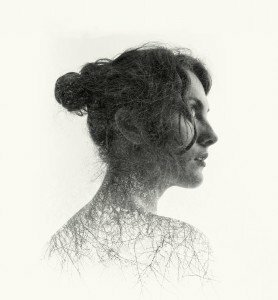 Exploring the depth of mood and ethereal quality that can be evoked by careful use of lighting and double exposure, Laurence has created this series of stunning photographs using his own home made camera lenses. Aberdeen Royal Infirmary was the first place he was employed 30 years ago where he fitted venetian blinds. A lot has changed since then and his love of photography has only grown stronger leading to his work taking him all over the globe and being exhibited in the Saatchi Gallery, London. He divides his working time between his personal fine art projects and the commercial work.